Lyon said Australia was bracing for a brave fightback from the tourists, who were hammered by 10 wickets in the Ashes opener in Brisbane. Image Source : GETTY IMAGES A file image of Nathan Lyon. 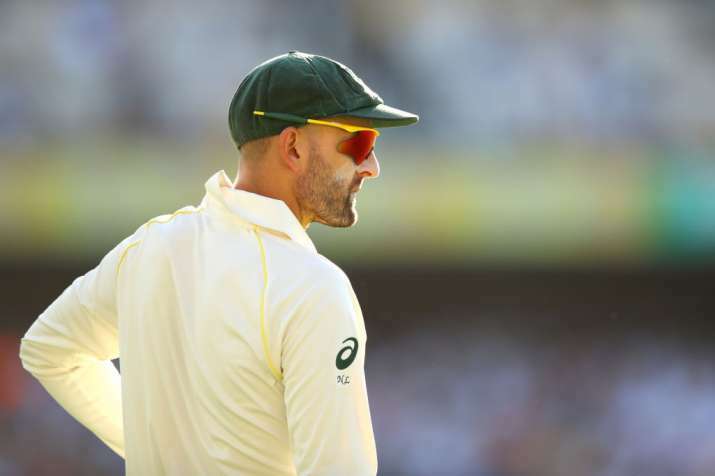 Australia off-spinner Nathan Lyon on Wednesday cautioned his teammates against complacency as they prepare to host England for the historic day-night second Ashes Test at the Adelaide Oval from Saturday. "We respect the English, we know they're going to come back bigger and better and stronger ... it's not going to be a walk in the park," Lyon told reporters. "One of the dangerous little periods is when teams are far down or in turmoil if you want to call it that -- I don't think they are. "If you don't respect a team, that's when they can come back and bite you. We can't sit on our hands and just think it's going to happen again. "We have just got to go out there and prepare the way the Australian team prepares and make sure come day one of this Test match, we're firing and hopefully carrying on from where we left off in Brissy," he added. Lyon, a veteran of 70 Tests created a firestorm ahead of the first Test with his controversial "end careers" barb but the tweaker refused to admit that he had spooked the tourists. "It's a game of cricket, I don't think I spooked anyone," he said. "I like it when opposition guys try to attack me and try to whack me out of the attack. Name of the game is to take wickets and score runs, so no doubt England will come prepared and they'll have a different plan for me compared to what they did in the first Test," he added. Australia lead the five-match Ashes rubber 1-0.